What Happens to Recycled Batteries? 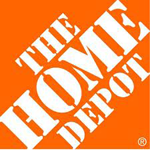 The Home Depot is proud to continue their sustainability efforts and support for the environment by responsibly recycling rechargeable batteries and cellphones through the Call2Recycle® program. Drop off your batteries today! Don't forget to tell your friends and family that The Home Depot accepts rechargeable batteries and cellphones for recycling. Thank you for helping protect our natural resources! Call2Recycle, Inc. (Call2Recycle) is North America's premier product stewardship organization dedicated to minimizing the environmental impacts of products in the marketplace. Operating across Canada and the U.S., its marquee battery recycling program, Call2Recycle, is the oldest and largest consumer battery stewardship program in North America. The program collects and recycles batteries and cellphones for retailers, municipalities, businesses and consumers through its wide network of collection sites, Call2Recycle has diverted millions of pounds of batteries and cellphones from the solid waste stream since its inception. Single-use batteries are not reusable when they lose their charge. They are commonly found in remotes controls, car keyless entry remotes, watches, pacemakers, hearing aids, memory backup fire alarm devices, toys, etc. Rechargeable batteries are commonly found in cordless power tools, cordless phones, laptops, cellphones, cameras, two-way radios, biomedical equipment, etc. Cellphones and their batteries are one of the easiest electronics to recycle. They can be refurbished for resale or recycled and the materials used in new products.